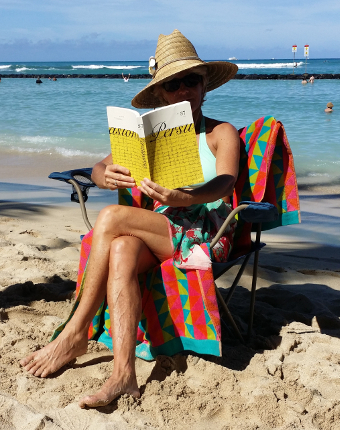 The editors of JASNA News contacted us looking for a Jane-related "summer beach reading" photo. Visiting San Diego Regional Coordinator Jeanne Talbot volunteered to do a photo shoot at Kuhio Beach and, to make a long story short, a version of the photo above will be on the cover of the next JASNA News. Members, watch for it in your mailbox in the coming weeks. A full-size version of the photo can be seen here. 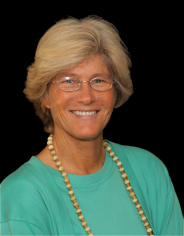 On June 20, special guest Jeanne Talbot, the Regional Coordinator for JASNA San Diego, gave a small group of us a presentation on "The Cult of Sensibility" as background for a better understanding of Sense and Sensibility. It was a fascinating talk and lead to lively discussion over delicious refreshments provided by a generous and thoughtful JASNA Hawai`i member. Mahalo to Jeanne and to all who participated.